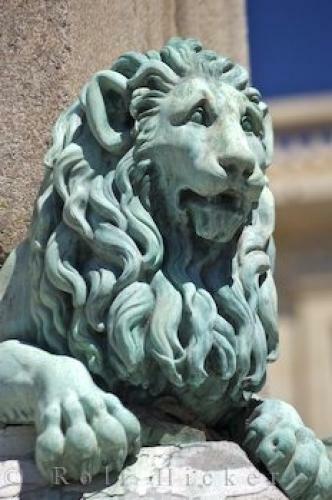 The statue of an Egyptian lion is one of many obelisks that are on display at the Place de la Republique in the city of Arles in the Provence, France in Europe. Centuries ago Egyptian people spent a great amount of time creating beautiful stone statues such as this lion in the city of Arles in the Provence, France in Europe. The Place de la Republique in Arles, France has a variety of Egyptian obelisks on display around the square and the lion has a story of its own to tell as does every different statue you come across.Egyptian Obelisk in Place de la Republique, Old Town, in the city of Arles, Bouches du Rhone, Provence, France, Europe. Place de la Republique in Arles, France.